Poor posture can be detrimental to health! If you are often in front of a screen at work or even at home, chances are you suffer from slouching and poor posture. Even athletes can suffer from this due to muscle imbalances. 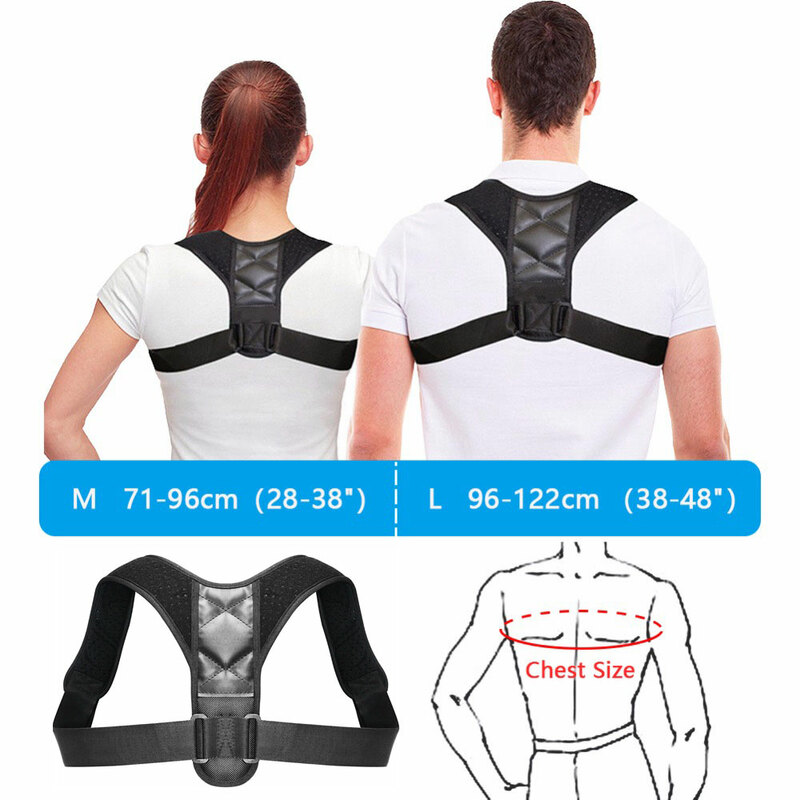 Male or female, athlete or gamer, our Posture Corrector is a must. The UppRight™ Posture Corrector fits comfortably and is adjustable to all body types. It firmly pulls the shoulders back, eliminating the "rounding" of shoulders which cause unhealthy poor posture. Additionally, UppRight™ Posture Corrector is amazing at helping athletes maintain proper back form while working out, which helps to prevent injuries. Look confident, feel confident and be healthier! UppRight™ Posture Corrector is not about a temporary fix. It works to correct your posture - long-term. Once your body adjusts to wearing UppRight™ Posture Corrector, muscle memory sets in, your body will naturally adjust to its newer and healthier posture. Which means you will gain a permanent proper posture even without using the UppRight™ Posture Corrector. The lightweight but firm material is adjustable and made of breathable material which means you can wear it all day for maximum effect and comfort. Even under clothing! Answer: No it will not! UppRight™ Posture Corrector is not made out of super stiff material that will keep your posture locked in place like a corset. Our posture corrector is an aid that helps your muscles maintain the correct posture, acting as a constant reminder to your muscles to keep your posture straight. Your muscles will develop over time to maintain this. Answer: No, unless you are wearing the posture corrector incorrectly. If you experience pinching either you are wearing it too tight or you are slouching your shoulders into the posture corrector too much. Loosen the straps to your comfort level and pull those shoulders back! That's the beauty of UppRight™ Posture Corrector, if you are slouching, it will become uncomfortable, forcing you to keep your shoulders back to regain comfort. It is the perfect way to strengthen your muscles to develop longterm healthy posture. Answer: Yes! It's designed to fit around both male and female physiques. Answer: Yes! UppRight™ Posture Corrector is designed to be sleek so that it fits under shirts or clothing, so you can be wearing it in public without people noticing. But for maximum comfort, consider wearing it over clothing. For discretion, we recommend you may wear the UppRight™ Posture Corrector over a shirt and pull a jacket or cardigan over it. "UppRight™ Posture Corrector and has really helped the back and neck pain I had. In fact, I don't want to take it off it feels so good and frees me to go about my business without the pain. I think there was much careful thought, research, and planning (even in the small details) that went into designing and making these braces. The fabric and other materials are good quality, and,unlike other posture correctors I had seen, are simple and easy to put on.